Do you need a login on your website? When you offer customers the opportunity to track progress they’ll need a log in to access their details. Courier and logistics companies typically offer this. When you’re offering privileged information to people who are ‘members’ you’ll need to protect this. This might be educational information or forums where the select few can share information. Mostly this kind of log in is related to a fee or subscription. Sites like Ebay and Amazon require you to create an account, as do any of the big online clothes retailers like Matalan, FashionWorld, Kaleidoscope, etc. This means that your delivery and payment information are stored so you don’t have to keep inputting the same information. Amazon is a good example of this where people can provide reviews of the products on offer. To post a review you need to be logged in so your identity is verified and this gives the review validity. Sites like TripAdvisor and hotels have similar schemes. Social media sites of all kinds require that you log in so you have an identity and can, therefore, interact as an individual. 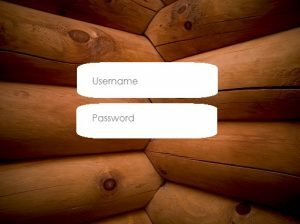 If you’re thinking of having a log in installed on your website think about why you want people to be able to log in and what value they will get from doing so.